The Versa Max 2 is everything you've heard it is. Top Gun Supply has been my go-to supplier for a bunch of my favorite gear. Great selection, great prices, and lightning-fast delivery. 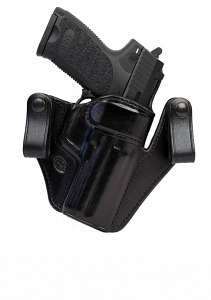 Ritchie and Milt Sparks holsters are top-notch and hard to get a hold of. I love that Top Gun Supply stocks them both and makes the ordering process so easy.